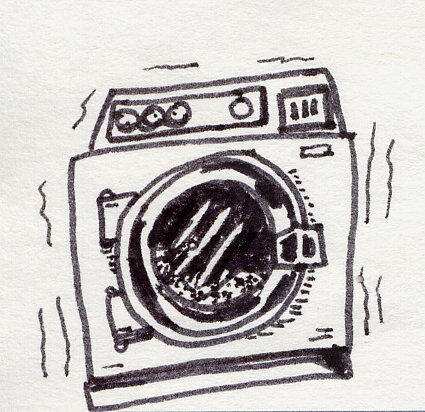 Sooz said early on that she wanted a washing machine. Margaret said there were very few on the island; even she and Janne didn't have one! This made Sooz think she was being a bit extravagant, but then she realised why there were so few washing machines- it's because most everyone else just takes their laundry back home to Stockholm. Taking our dirty clothes back over the ocean is a different proposition. There are a lot of little units available for those small Swedish flats and we're going put one in the bathroom, but probably not the first year. We'll make sure we put the electricity and water in place for when we're ready.